Do You Have a Timetable? Welcome to the last edition of our newsletter for term 1. It has been a busy term and I know that both teachers and students are looking forward to a well-earned break. Term 1 Progress Reports will be sent out this week for all students and it is pleasing to see most students have made a positive start to the year. If you have any concerns regarding student progress to date, please be sure and make contact with the relevant teacher or Student Coordinator early next term. 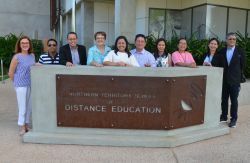 This week NTSDE hosted a delegation from Negros Occidental in the Philippines. The group was comprised of the Mayor of Sagay City and his wife, three School Principals from the schools I was fortunate enough to visit last year and Negros Occidental Education Department personnel. This is the next step in our endeavours to investigate possible partnerships with the schools for both students and teachers across the two countries. You can see and read more about their visit further on in this newsletter. We also had a visit from some students from Xavier College this week. The students spent three days meeting their teachers and undertaking lessons to assist them with their studies. It was wonderful to have them visit the school and meet their teachers in person. I would like to wish all students and teachers a relaxing weeks break and look forward to welcoming students on site next term for both the Science Workshop Programs and Community Residential School. Maria Charry J Chiu - Executive Assistant Coordinator of Engagement. Deanna Ther, eLearning Instructional Designer, showed the delegates some examples of our Moodle courses. 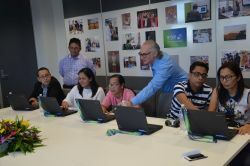 The delegates were then given a computer so they could have a go at using a Moodle course as a student. They even got to participate in a Moodle quiz. Anthony Chan, IT Manager, explained how our weekly lessons in IDL work. Bev Wilson, Student Coordinator and a number of students then had a live lesson with the delegates. The students introduced themselves and explained where they lived and showed photos of their home locations. Everyone had the chance to ask questions of each other. Thank you to students Cameron Dunbar, Sandra Jestin, Sarah Leicht, Hunter Torr and Shannai Wade for taking the time to participate in the lesson. The Mayor of Sagay City, the Honourable Alfredo Maranon III, was then presented with a piece of artwork which featured a crocodile. 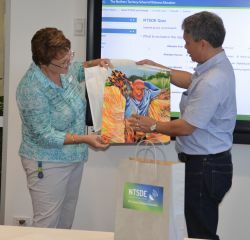 We also gave all of the delegates a bag of goodies which included the Outpost yearbook, an NTSDE mug, some TimTams and a USB of a video of their time at NTSDE. The final part of the tour included a lunch in the multipurpose room. 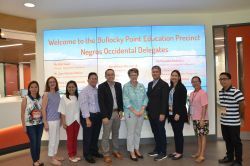 Thank you to the delegates from Negros Occidental for visiting NTSDE. 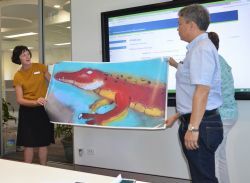 The competition is open to all Territorians 18 years and under, and is organised in association with other public libraries and schools throughout the Northern Territory. Entries close on 30 June 2018 and the winners are announced at a presentation in Darwin in August. The Young Territory Author of the Year receives $500. The school entry winner receives $500 for the school. Regional area winners receive a $50 prize. Age category winners receive $50 voucher to the Bookshop Darwin. Highly commended in each age category receive a $30 voucher to the Bookshop Darwin. Encouragement awards in each age category receive a $20 voucher to the Bookshop Darwin. 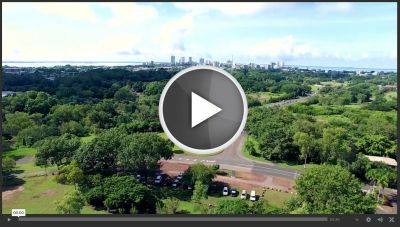 We have collaborated with Darwin High School and Darwin Middle School to create The Bullocky Point Education Precinct video. As the three schools are located on the same site, the video explains how we will work together to build a vibrant school community. 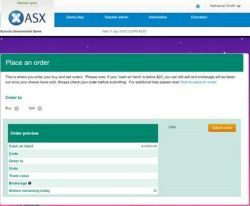 Congratulations to Sam Roussos, who has been ranked in the top 20 for his success in the ASX School Sharemarket Game. There are over 16,000 students participating in the game nationwide so a top 20 ranking is very impressive. Stage 1 Economics students are currently playing the ASX Game as part of their studies. 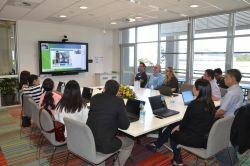 This involves looking at how the world around us operates and how this impacts upon economic decisions that governments, businesses and consumers make. Through playing the Sharemarket Game this term, students have learned about trading shares and how economic activity impacts on the price of a share. The game helps to develop students' skills in understanding how the share market works and how to develop trading strategies. Students trade a hypothetical $50 000 on the sharemarket and look to generate the highest returns in 10 weeks, using real ASX and financial data to help make these decisions. Both Ebonnie and Olivia have written articles that can be read after the video. 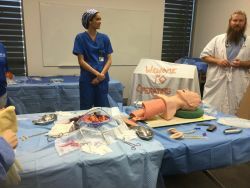 The Health Careers Day at the Royal Darwin Hospital was a fantastic day which I really enjoyed, and a great opportunity for everyone who attended to learn more about the broad range of careers options in the health industry, as well as all the different aspects of healthcare. Not only did we cover areas such as speech pathology, radiology, occupational therapy, and audiology, we also discussed other aspects such as physiotherapy, oral health, midwifery, mental health and pathology. The best about it was the fun interactive, hands-on activities that went along with all the areas we covered. 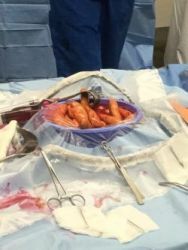 It allowed me, and all the other students, to really get a feel for the various types of careers and learn more about the practical side of them. Whether you are a considering a career in healthcare, or merely interested in all the different pathways available in the health industry, the Health Careers Day is an excellent opportunity to find out more about both, and I highly recommend it to all students. On Thursday the 12th of April 2018, careers coordinator Mr Stephen Robinson and health and PE teacher Ms Vanessa Cuttriss along with Olivia Tester, Seralda Daiyi, Taznie Mitchell, Jemma Woodward, Nirvana Lockwood and I, Ebonnie Lockwood, participated in the 2018 health careers to try day. The day involved going to different stations learning about the different parts involved with a hospital including speech pathology, audiology, medicine, physiotherapy, nursing and midwifery, exercise physiology , occupational therapy, paramedics, phycology, disability and developmental education and nutrition and deities. At each station everyone participated in different activities, such as for the speech pathology, we split up into groups of 3 and, using a stethoscope, listened to the sound of each other swallowing. In audiology, we got to walk through a large inflated ear. Physiotherapy had us listening to each other’s breathing, and experiencing what it would be like recovering from disasters such as a stroke. We all enjoyed riding in the electric wheel chairs from the disability and developmental education station. And secretly loved the gruesome man with his ‘sausages in sauce’ intestines. The highlight of the day for most of us was the nursing and midwifery, delivering baby ‘Bob’ or ‘Buster’ as I named him. Over all it was interesting and exciting, an unforgettable experience, because we all had fun. And I highly recommend it for next year. A big thank you to Mr Robinson and Ms Cuttriss. If you are still without a timetable that includes your scheduled lessons, study time (such as working through your Moodle courses) and yes homework! then please use the Timetable Template below to help get you organised. To be a successful distance learner, NTSDE students have recognised the need to be organised, communicative and motivated! Have a wonderful relaxing break! But don't forget your timetable! 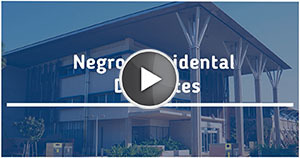 Have you seen our latest movie trailers? Our Mutimedia Developer, Will Tinapple, has been working with teachers to create exciting trailer videos for our Moodle courses.